The 19-year-old Michael Jordan of gymnastics shined in all four events, generating a score far ahead of her teammates and competition. Simone Biles stunned yesterday at the Olympics where she received a score of 62.366s, landing her a place in the all-around finals. Biles was the top qualifier for three event finals: vault, balance beam, and floor. The 19-year-old three-time world champion’s score left everyone in the dust—no non-US gymnast achieved more than 59 as a score. Teammate Aly Raisman will join Biles in the all-around finals. While she didn’t make it to the all-around, Gabby Douglas gave a strong performance and was the third highest scorer among all gymnasts. Douglas will compete in the uneven bars final. 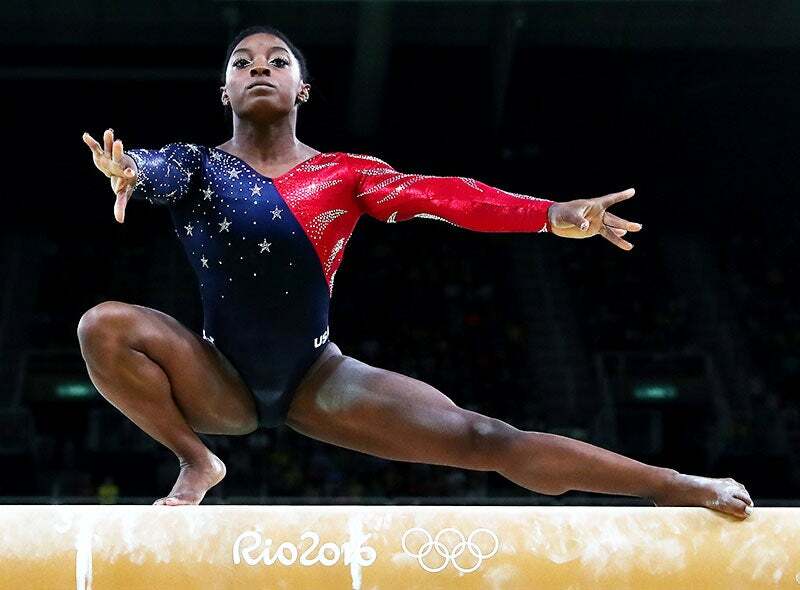 The US women’s gymnastics team is in good shape to take home the gold with Biles on track to becoming the first female gymnast to win five gold medals in one Olympics. We’re rooting for you ladies, let’s get this gold!